Your Downtown Dentistry is an Orlando dentistry which offers services that include cosmetic dentistry, emergency dental care, professional teeth whitening, restorative dentistry, oral surgery, gum treatment, botox, and many other services. Whichever kind of oral treatment you are in need of, there is a safe bet that Your Downtown Dentistry can be an affordable option. Among the many questions we get asked by our clients, root canals are more often than not a topic that comes up. 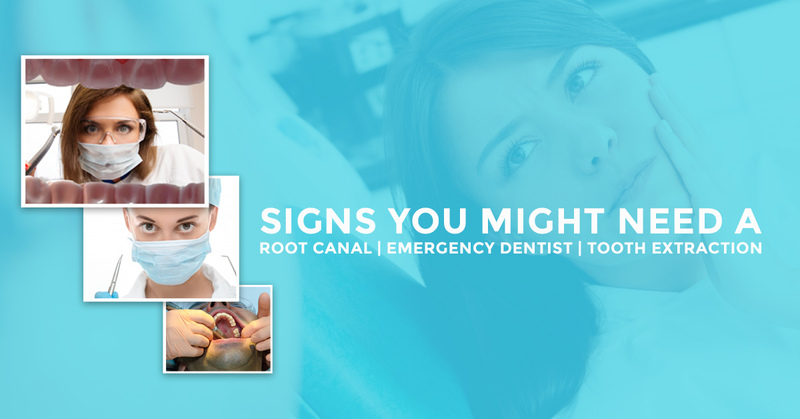 Root canals are usually thought of as the most horrifying experience a human can go through. While this is far from the case, we won’t sugarcoat the experience either; endodontic treatment isn’t a walk in the park. And root canals are often necessary, but do you know why? In today’s post, we will explore endodontic treatment, root canals, and signs that you may need to visit your local Orlando dentist to correct the situation before it worsens. If you are interested in such things, then read on! Dental root canals, a type of endodontic treatment, is characterised by treating the inside of the tooth. Underneath the durable enamel of a tooth lies dentin, a hard layer, and a layer of soft tissue, called the pulp. Housed within the pulp are nerves, connective tissue, and blood vessels. This is the affected area when someone needs a root canal. People need root canals when the pulp gets infected or inflames a certain degree. Using what is called a pulp test, your local family dentist will check to see the extent of the damage, while being able to localize the cause of the problem. The purpose of root canal therapy is to both address the infection in the bone as well as remove the potentially dead nerve. Sometimes an Endodontist, a specialist in the matter, must be called in for a set of more seasoned eyes (and specialty tools). But let’s back up a moment and talk about the conditions which can lead up to needing a root canal. Often, it starts with something as seemingly benign as a tooth ache. A common reason for pain is that the bite is misaligned and is therefore causing significant pain. Another source of pain and decay might be that your gums have receded to the point of exposing dentin, which in turn can cause a substantial amount of pain. Other times, there is an actual fracture in the tooth that It should also be noted that sometimes decay can occur without any sign of trouble or noticeable pain. Hence, frequently checking in with your Orlando family dentist is a necessity (for this reason, among many others). Dental root canal treatment is not always the best option for those with internal tooth problems. Still a lesser-known procedure to the public, tooth extraction represents a viable alternative to root canal therapy. Tooth extraction is a restorative dental procedure which removes the tooth from its socket in the bone. However, tooth extraction isn’t the first option Your Downtown Dentistry will consider. Even if your tooth has been damaged, broken, or is decaying, our restorative dentists will look into the viability of solving the issue with a crown, filling, or perhaps another less invasive treatment. Of course, if root canal treatment is necessary, you will likely need additional restorative care (like a crown or a filling) to ensure future dental health. Whether you are looking for teeth extractions, a root canal dentist, or another kind of restorative dentistry treatment, Your Downtown Dentistry has the understanding, experience, and compassion needed to help guide you toward a pain-free smile. We also have some fantastic New Patient Specials that we would like to tell you about. Our New Patient Special for Adults is just $99 right now, and it includes cleaning, an exam, x-rays, and an oral cancer screening. Likewise, our New Patients Special for Kids is only $50, which includes all of the same treatments that adults receive, with an added bonus of a Topical Fluoride Treatment and Oral Hygiene Instructions. It is important to establish proper dental care habits at a young age, and we specialize in helping young children understand the adverse effects that failing to be consistent about oral hygiene can have later on in life. Be it cosmetic dentistry, periodontal dentistry, or some other treatment like teeth whitening, we have got you covered at Your Downtown Dentistry here in Orlando, Florida. Dr. Ali Behzadi, DMD, has a wealth of experience in the field, and is committed to providing a low-stress, high-comfort atmosphere while he maintains his patients oral health. We don’t think that keeping our clients healthy and comfortable need to be mutually exclusive, whether they are children or adults. As Nikki has attested, we take the time to listen to you to understand where you are coming from and what your personal dental goals might be. With our passionate expertise and dedication to our clients’ well-being, it’s easy to understand why more and more people are calling us their trusted family dentist in Orlando. Achieve your most beautiful smile at an affordable dentist by requesting your appointment today!